Not all your visitors are the same size or shape, and not everyone will respond to the same greeting – tailoring your messages to fit your visitors will result in higher quality conversations, and ultimately lead to much higher engagement and conversion. 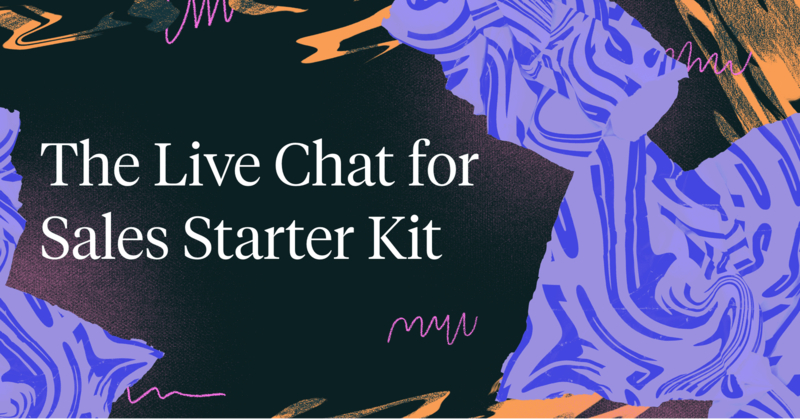 This is where initiating a live chat conversation with a personalized, automated message comes in. 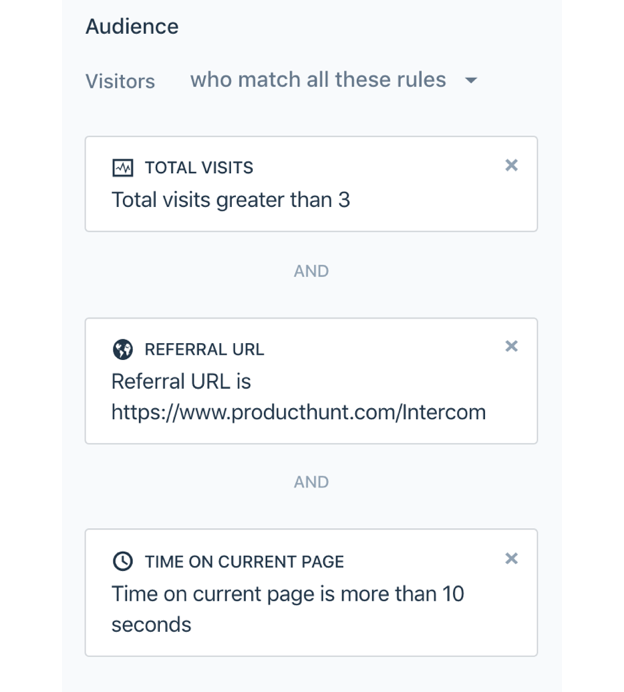 At Intercom, we call these Visitor Auto Messages, or VAMs, but essentially these are short, targeted auto messages that pop up through the messenger when visitors come to your website and meet certain criteria, like company size or website behaviors. One reply from a human increases the conversion rate of leads to users by 50%. In Marketing, VAMs are like bite-sized landing pages; they collect email addresses, or send simple messages directing people to take a next step in a user journey. Unlike marketing email, they invite visitors to chat with you too. This is extremely valuable – according to our analytics team, one reply from a human increases the conversion rate of leads to users by 50%. This message took minutes to create in Intercom (wink wink) and roughly 10% of visitors gave us their email address. Pretty decent returns for a message that took minutes to make, especially when you consider that the industry standard for landing page conversions is in the order of 2-3%! If you’ve installed our Clearbit Reveal integration, you’ll also see additional company data to choose from, like the number of employees in a visitor’s company, industry and more. Spend most of your time understanding the goal of your message. Rather than offer these visitors a relevant blog post, our VAM might directly encourage these visitors to start a free trial. Keep in mind, if your message is on a low traffic page or too targeted, most people won’t see it, which defeats the point of sending a message in the first place. In email copy we’ve long heard to keep our messages succinct to grab decreasing attention spans; in messaging that’s even more true. As a rule of thumb if your leads need to scroll to read your message, then it probably should be sent via email. Spend most of your time understanding the goal of your message, the clear action that you want the user to take, and why. Your message copy should reflect that as simply as possible. When a live chat pops up it disrupts and commands your visitor’s attention, so it’s important to make sure your message is relevant to them. That is about all your message should contain. A good thing about these messages is that if someone wants more information, they can simply start chatting with you. Less is more here. As with any campaign, once you set it live it’s important to check on it every day or so. Sent and open rates are good metrics for determining if you properly targeted your VAM. If these rates seem low, you’ll want to change your targeting. They start a two-way dialogue with a potential customer. On the other hand, your message replies and reply rate will shed the most color on your message content. 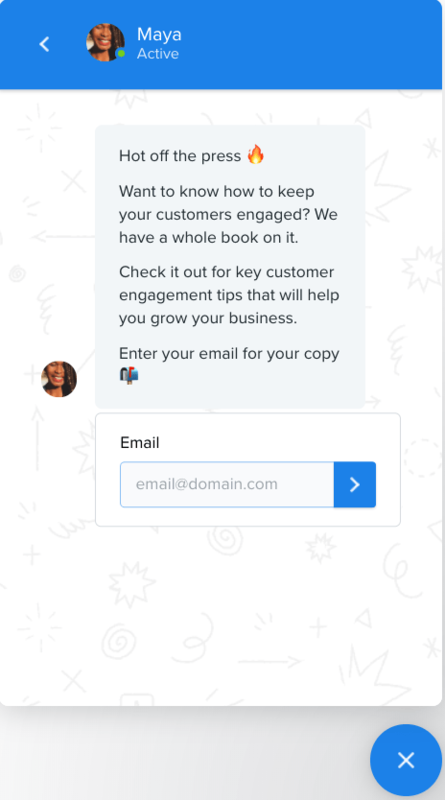 For example, our visitors replied to one of our VAMs and said how much they loved Intercom on Customer Engagement book, so we expanded our messages to offer more gated books. Running A/B tests is another good way to refine and optimize your messages. We’ve long believed the best time to message a user is when they’re using your app; likewise, the best time to message a lead is when they’re on your website and their attention is squarely on you. If you want to collect lead information, forms could do the job, but visitor auto messages do them better. They’re lightweight, timely, and best of all, they start a two-way dialogue with a potential customer. Auto messages to initiate customer conversations can be set up easily and are a good addition to any lifecycle marketer’s toolkit.